Cha Jae-wan has agreed to do Lee Joong-goo’s bidding once again, all for the sake of protecting Ah Mo-ne from him. She reveals to Jae-wan that she saw Joong-goo beating him, and that she can protect him. Jae-wan refuses her help and then rejects her when Mo-ne tells him that she loves him. Confused and hurt by his actions, Mo-ne has no choice but to resume a solely professional relationship with him. Jae-wan is secretly distraught from rejecting Mo-ne, but he knows it’s necessary if he is to expose Joong-goo for the monster he is. Jae-wan’s old rival/colleague, Lay Kim, arrives at the hotel causing trouble. Lay’s plan to steal employees from Ciel for his own hotel is quickly discovered when he fails to convince Sun Woo-hyun to leave Ciel. In a fit of rage before leaving the hotel, Lay destroys the hotel’s courtyard, injuring Jae-wan and Mo-ne when they try to stop him. When Jae-wan is tending to her wounds, Mo-ne asks him if he actually hates her. Jae-wan tearfully admits that he doesn’t hate her, and that he wouldn’t be able to survive if he did. Joong-goo thinks he’s on top of the world until someone leaves him a recording of a secret conversation he had with Jae-wan. Despite Jae-wan’s renewed loyalty, the recording convinces Joong-goo that he still may not be completely trustworthy. Chairman Ah’s doctor, who is in hiding, agrees to help Jae-wan testify against Joong-go. Already one step of him, Joong-goo kidnaps the doctor from his hiding place. As he’s rummaging through the aftermath at the doctor’s house, Jae-wan discovers an envelope hidden in a flower pot. Inside of it is a paternity test determining that Chairman Ah is NOT the father of Cha Jae-wan. No better place to hide something than a flower pot. Jae-wan has another DNA test done, and the results match those of the flower pot paternity test. Joong-goo had lied to him about Chairman Ah being his biological father and Mo-ne being his sister. The truth is that Jae-wan is not related to either one of them. 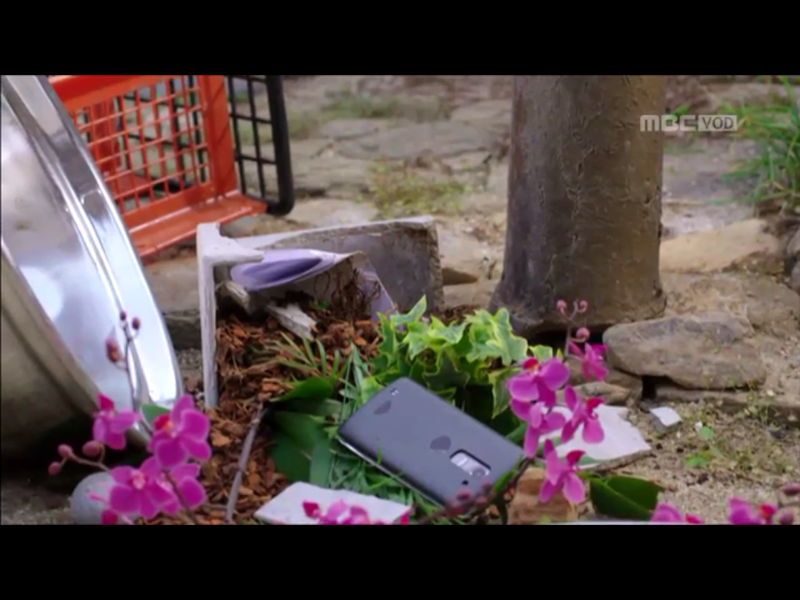 In fear of further retaliation, as Joong-goo already had the doctor killed in a staged car accident, Jae-wan keeps the information from the paternity test to himself. Meanwhile, a painting of Ciel’s pond, commissioned by Chairman Ah shortly before his death, is delivered to the hotel. Woo-hyun is convinced that the Chairman hid a message in the painting that provides clues to his death. After some detective work, he realizes that the clue lies in the boat in the pond. Still believing that Jae-wan is helping Mo-ne instead of Joong-goo, Woo-hyun tells him his theory about the boat. Jae-wan goes and retrieves a recording device that was hidden in the boat, but tells Woo-hyun that he couldn’t find anything there. The message Chairman Ah left on the recording was that Cha Jae-wan is the son of Lee Joong-goo. Nope, this random boat is a much better hiding place. Jae-wan is absolutely devastated to learn the truth. He goes to Mo-ne in desperation, but doesn’t tell her what he’s discovered. She takes him to a resort house away from Ciel to take his mind off of things. While they’re away, Mo-ne and Jae-wan are blissfully unaware of what’s happening at the hotel. Without the Chairwoman and GM of Ciel present, Joong-goo holds an event for a group of VIPs to conduct illegal business deals. And when the illegal event is taken down by the police, Mo-ne is arrested because she had been tricked into signing off on it, inadvertently taking full responsibility for it. Woo-hyun seeks out the Chairman of Woojin Ranch, a large farm near Ciel, to help declare Mo-ne’s innocence since he was at the event. Chairman Sun refuses to help, in spite of Woo-hyun being his son that nobody knows of. Jae-wan knows that Joong-goo is responsible for Mo-ne’s arrest. Once again, Jae-wan reluctantly goes back to Joong-goo’s side, so Mo-ne can be released from jail. Unbeknownst to Joong-goo, however, is that Jae-wan now knows his true identity as his son, and is more determined than ever to destroy his father. Because of his agreement with Joong-goo, Jae-wan reverts back to acting cold and indifferent towards Mo-ne. After being told by Jae-wan that it’s her own fault for foolishly trusting him, Mo-ne is determined to finally cut off ties with him. Mo-ne and Woo-hyun also realize that Jae-wan probably took Chairman Ah’s clue from the boat and kept it for himself, casting more suspicions on his true motives. I gots to find it first! One of Ciel’s biggest shareholders, Roman Lee, is at the hotel to discuss Joong-goo’s plan for building a casino at Ciel. The building site for it was previously reserved by Chairman Ah for a cultural center. Since the land for either the casino or cultural center belongs to Woojin Ranch, Mo-ne takes Woo-hyun with her to negotiate with Chairman Sun, oblivious to their father-son relationship. The negotiations fail because Joong-goo already promised to pay double the amount Mo-ne offers. Already frustrated by the bidding war over the land, Mo-ne is then given by Manager Baek a recording that incriminates both Joong-goo and Jae-wan for her father’s murder. With this information in mind, Mo-ne crashes Joong-goo’s birthday party and sneaks off to his study to look for further evidence of his guilt. Jae-wan finds her trashing the study, and whisks her away to his own house before Joong-goo catches her. There, Mo-ne continues to vent her frustration by now trashing his house, coming across a gun in his unlocked safe. After seeing the gun, Mo-ne tells Jae-wan that she knows he played a part in her father’s death. Jae-wan barely reacts to this revelation and repeats that she should have never trusted him. Mo-ne later confronts Joong-goo about killing her father, but is quickly dismissed and told that the recording was most likely fabricated. Without real evidence to convict either of them, Mo-ne is forced to retreat and plan her next move. She recruits Roman Lee for her cause and he agrees to it, or so it seems. Jae-wan persuades Joong-goo to participate in the Ciel talent show to bolster his public image, in preparation for the casino plan’s unveiling. While his magic show performance goes smoothly, Joong-goo goes on a rant backstage, comparing the children in the audience to beggars trying to steal from him. Unknown to him, his mic was still on and everyone could hear his insults. Jae-wan had secretly bribed the magician performing alongside Joong-goo to purposely leave his mic on. The bad press coverage for Ciel continues with this incident, and Joong-goo loses support from the hotel’s directors and his own family. Now more desperate than ever to win over Chairman Sun, Joong-goo reveals to the hotel staff that Woo-hyun is the son of Woojin Ranch’s owner, thinking that this may be used to his advantage. Roman alerts Joong-goo to the fact that Jae-wan has been secretly helping Mo-ne, and he takes this as a sign of yet another betrayal by Jae-wan. He lures the two of them to a cabin in the woods that he’s filled with caged birds, and locks them in. In the meantime, he signs a contract with Roman to secure financial backing for the casino. In reality, Roman’s betrayal of Jae-wan was orchestrated by Jae-wan himself. Once they escape from the cabin, Jae-wan has Joong-goo arrested for tax evasion and illegal loans. Right before he is taken away by the police, Jae-wan reveals one more bombshell: he knows he is Joong-goo’s son. Joong-goo vehemently denies being his father. In a series of flashbacks, it’s revealed that the mystery sender, Baek Mi-yeon, of semi-threatening letters to Joong-goo is Manager Baek Mi-nyeo of Ciel. She, Joong-goo, and Chairman Ah were involved in a love triangle in their younger days (30+ yrs ago?). Joong-goo framed her for his own embezzlement crimes at Ciel, and Chairman Ah was responsible for turning her in to the police. She had a son at the time, but the identity of the father has not been revealed. 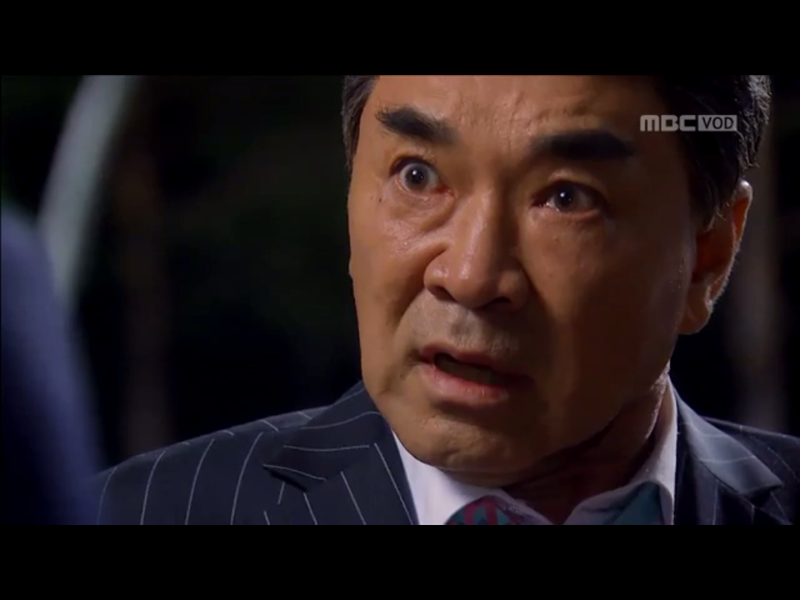 After Joong-goo is arrested, Roman reveals to Jae-wan and Mo-ne that Manager Baek is his mother. Roman has the same wings tattoo on his back as Jae-wan…so could they be brothers? Is Manager Baek the mother of Jae-wan? Thanks for reading these two brief-ish recaps of episodes 1-16 of Hotel King! I’ll be doing individual episode recaps for the second half of the series. Get ready for more betrayals, hidden recordings, secret sons, and pottery/bird-related drama. Shoutout to the “Avenuel” Hotel from My Girl!